Convenient storage for a variety of art and hobby supplies. 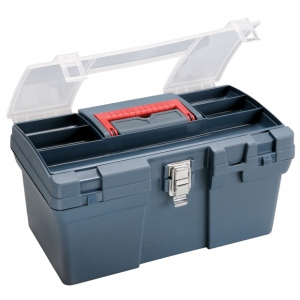 * Constructed of durable plastic featuring a translucent compartment in the top that snaps shut. 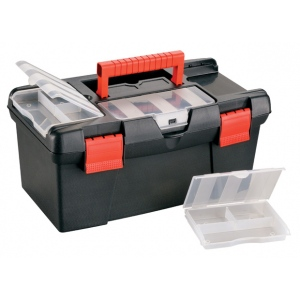 * Two additional compartments in top are divided and can be conveniently removed for added portability of small tools and supplies. * Security loops can accommodate a small lock.